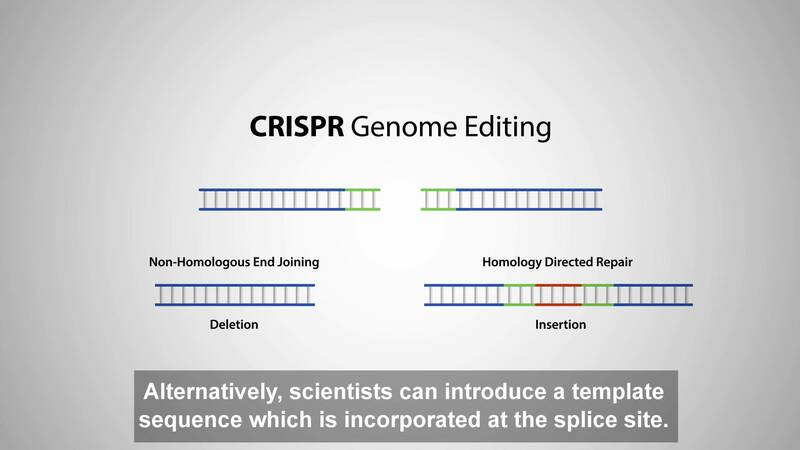 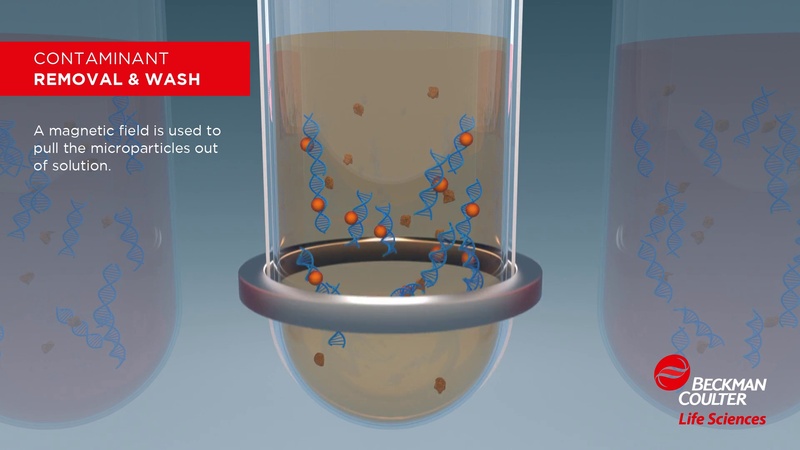 Duration: 2 minutes This animation explains Sold Phase Reversible Immobilization (SPRI) technology and the process of its use to selectively bind to nucleic acids by type and size. 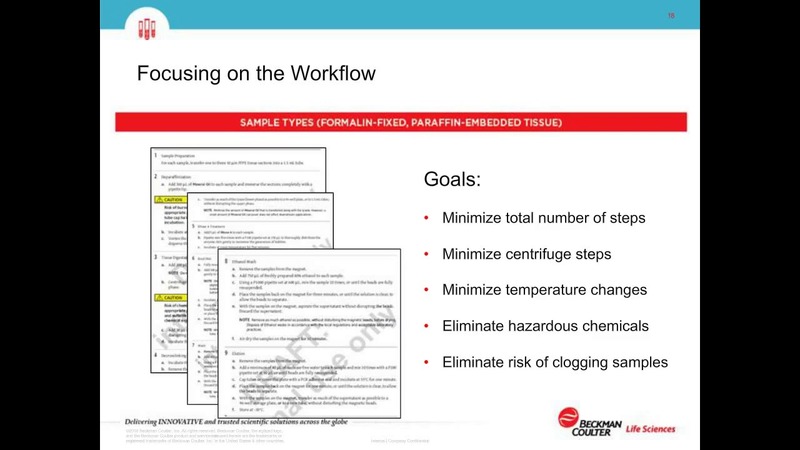 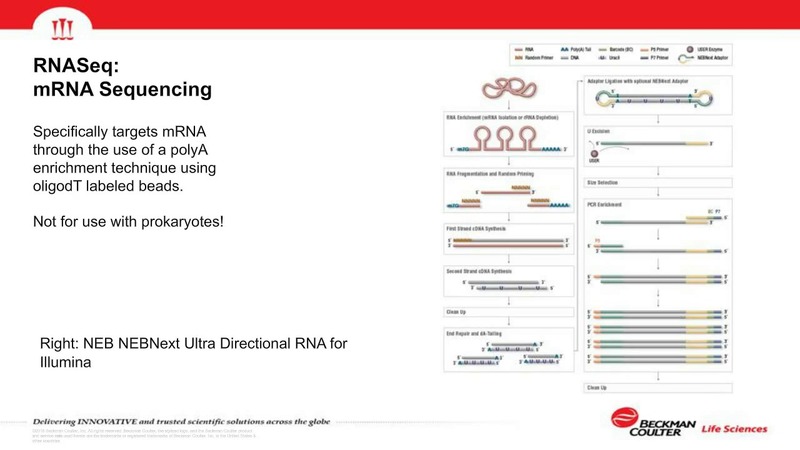 Duration: 39 minutes 19 seconds A discussion of automating the preparation of RNA-seq libraries using the RNASeq kit with formalin-fixed, paraffin-embedded samples.This presentation represents part of a collaboration between Beckman Coulter and the Dana-Farber Cancer Institute. 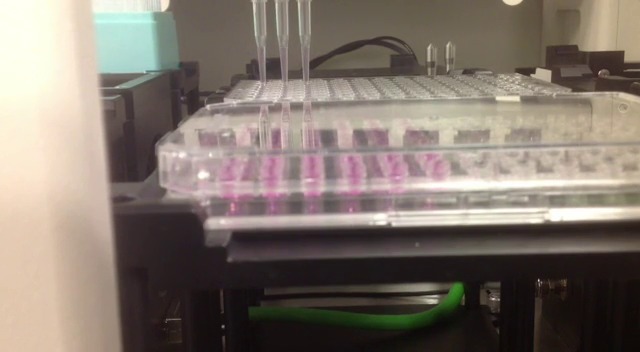 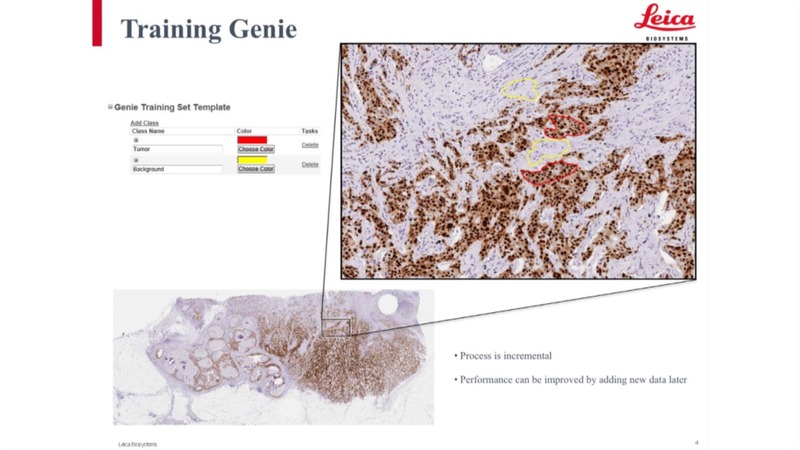 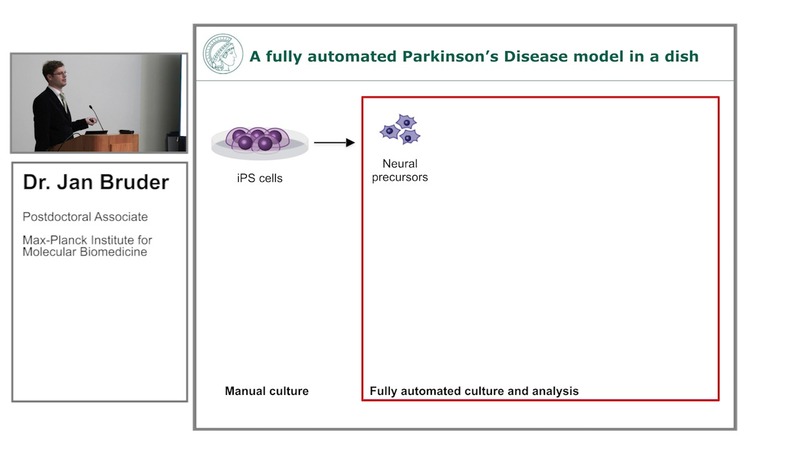 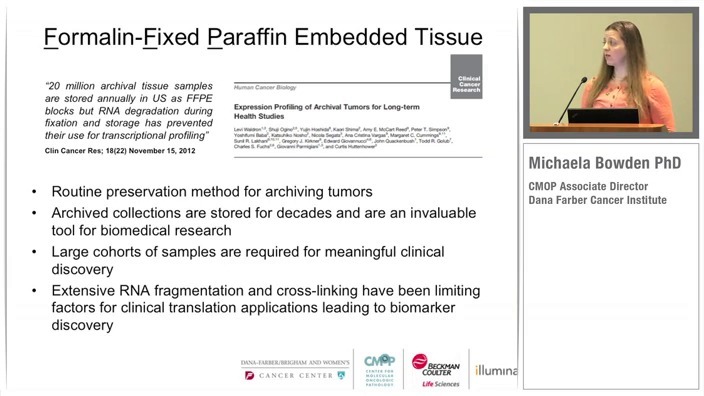 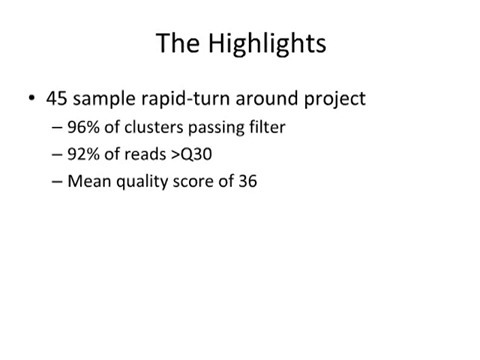 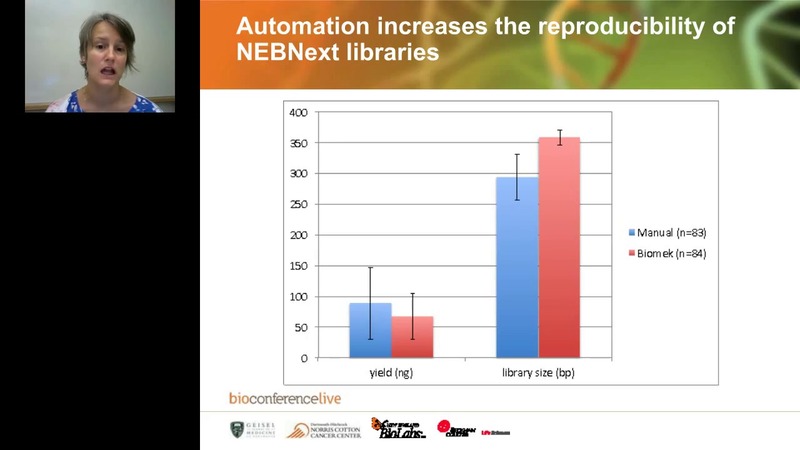 Duration: 59 minutes 39 seconds Michaela Bowden (Scientific Researcher, Dana-Farber Cancer Center) presents an automated RNA-Seq library prep for FFPE tissue samples on the Biomek FXP liquid handling platform. 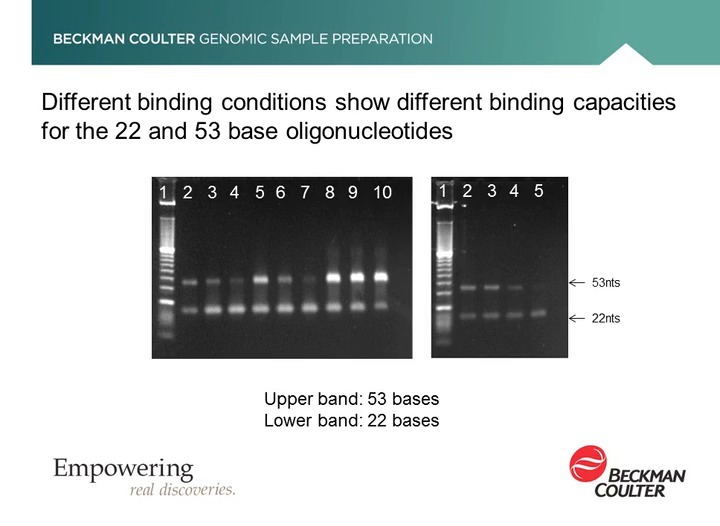 Duration: 52 minutes 24 seconds Dr. Joanna Hamilton, Ph.D., Dr. Lynne Apone, Ph.D. and Zach Smith (Beckman Coulter) cover the benefits of automating DNA library prep for Ion Torrent sequencing. 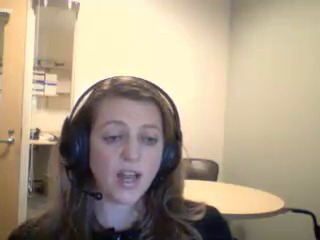 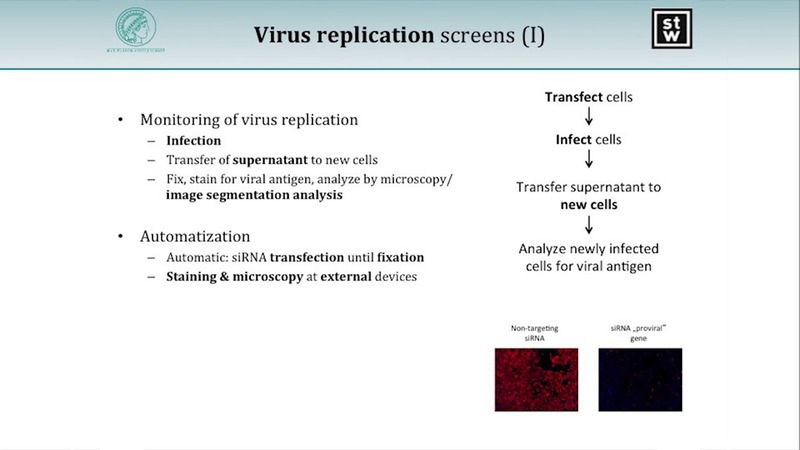 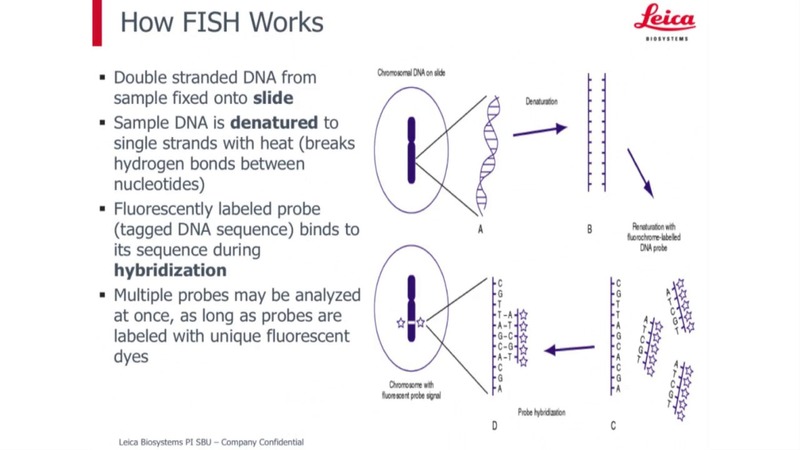 Duration: 56 minutes 12 seconds Final in a three-part educational Small Labs webinar series and covers challenging samples and niche applications including an overview of FFPE-derived RNA samples, cell-free DNA whole genome sequencing, targeted amplicon sequencing and HLA typing applications. 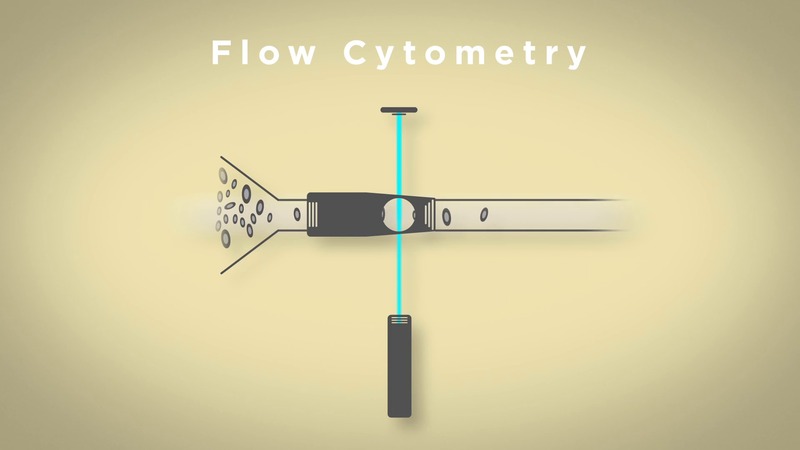 Duration: 1 minutes 30 seconds The CytoFLEX flow cytometer is the first commercially available instrument utilizing Avalanche Photodiodes (APDs) for detectors rather than traditional PMT technology. 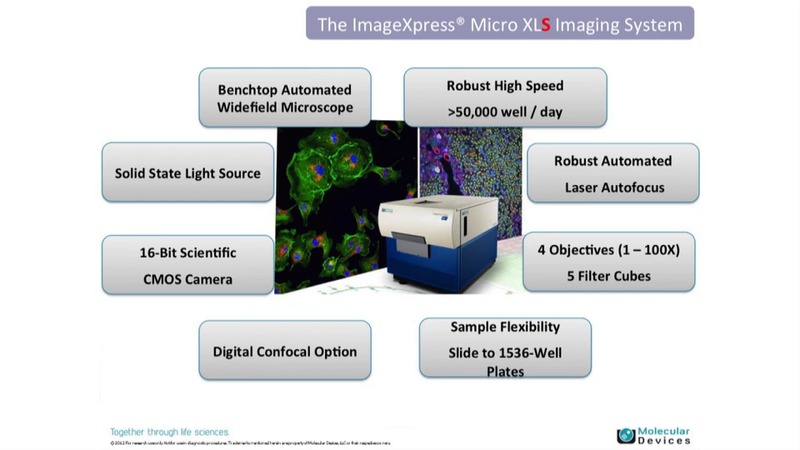 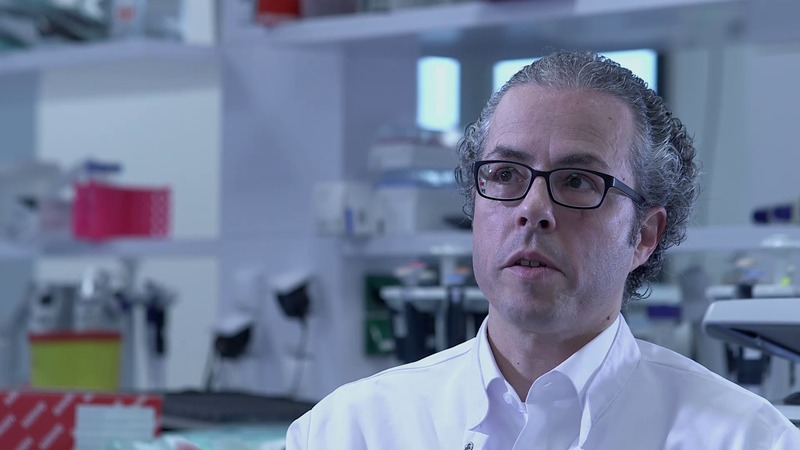 In this part of our Magic Inside video series, you will be transported inside of the instrument and learn how the use of APDs contributes to exquisite sensitivity and small footprint of the CytoFLEX Platform. 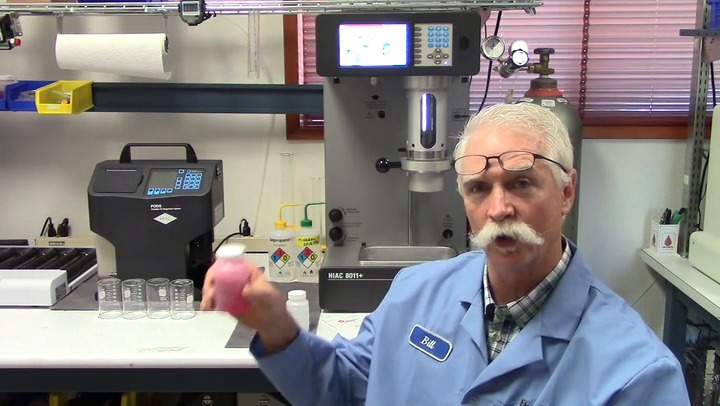 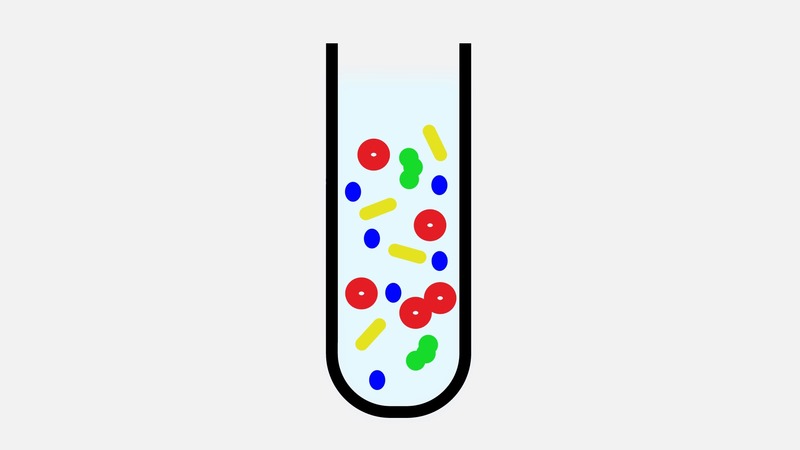 Duration: 27 minutes 35 seconds Science Insider video covers the fundamentals of centrifugation, centrifuge applications (e.g., sedimentation & density gradient separations), rotor and tube types. 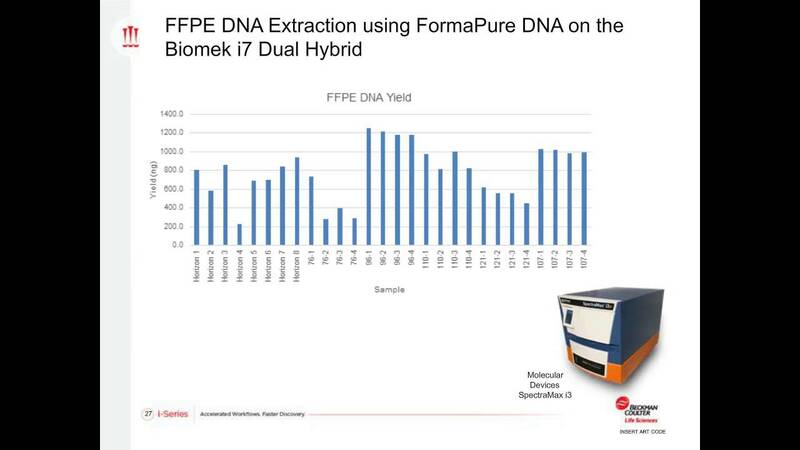 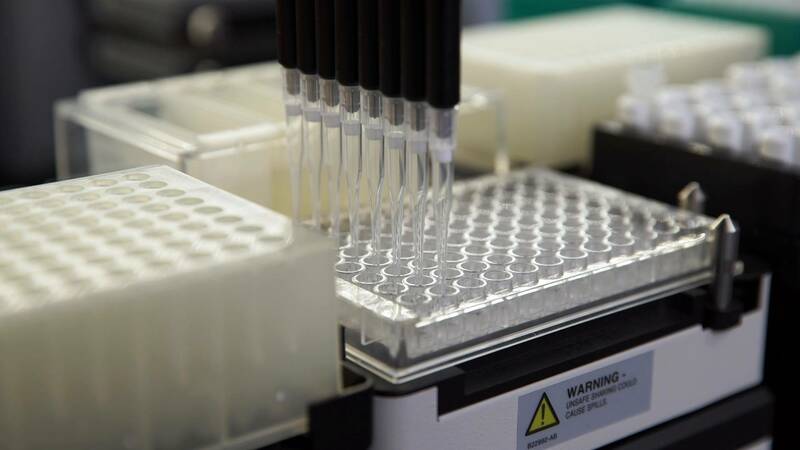 Duration: 55 minutes 43 seconds This educational webinar offers an overview of FFPE samples—opportunities and challenges with this sample type, DNA extraction from FFPE for genomics sequencing and impacts to downstream applications such as NGS, FFPE extraction kit overview and automated method. 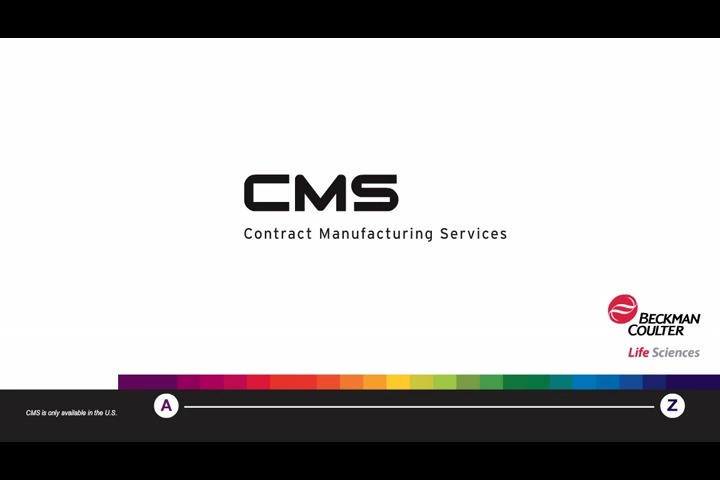 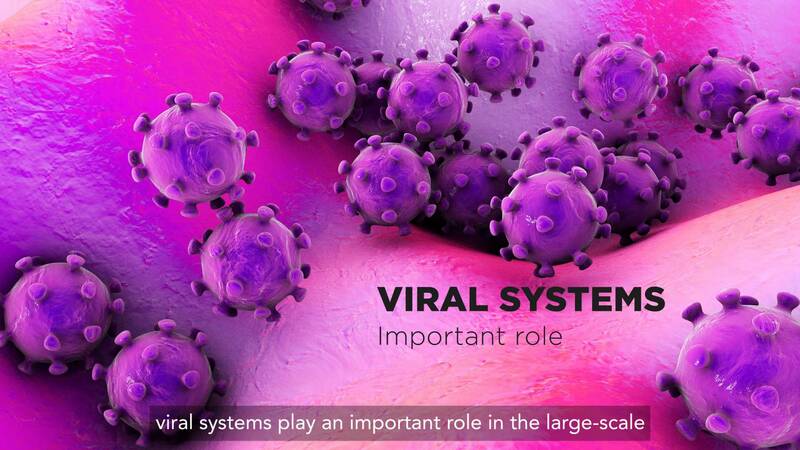 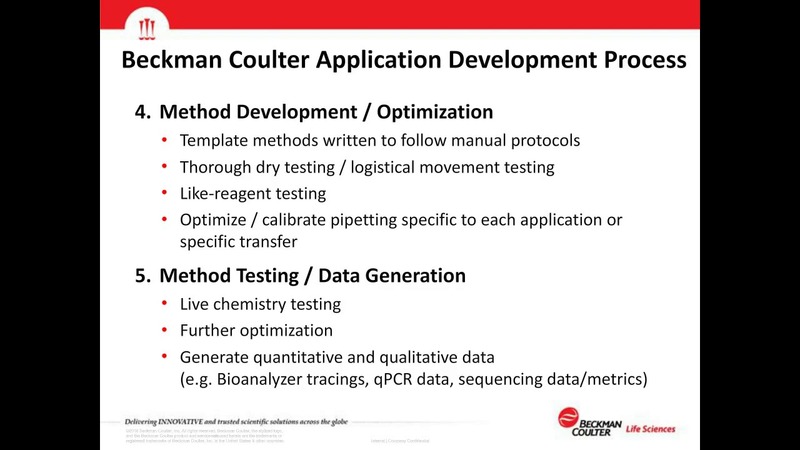 Duration: 2 minutes 35 seconds Learn about Beckman Coulter Contract Manufacturing Services for technology manufacturers, contract research organizations and pharmaceutical companies. 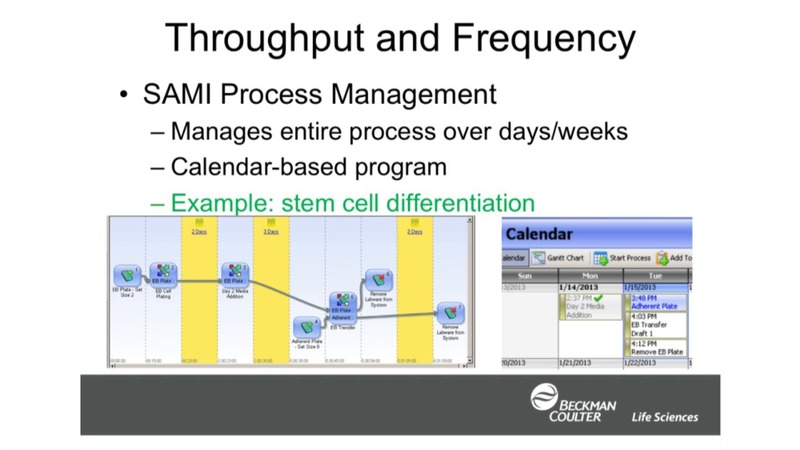 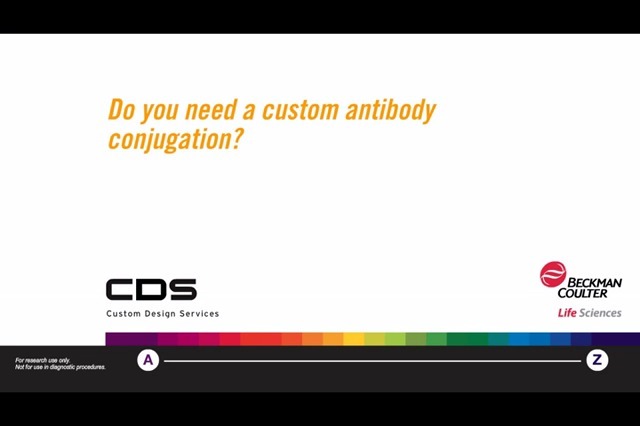 Duration: 2 minutes 5 seconds Learn more about Beckman Coulter Custom Design Services for your multicolor flow cytometry including purified antibodies, single/multicolor antibody conjugates and optimization services. 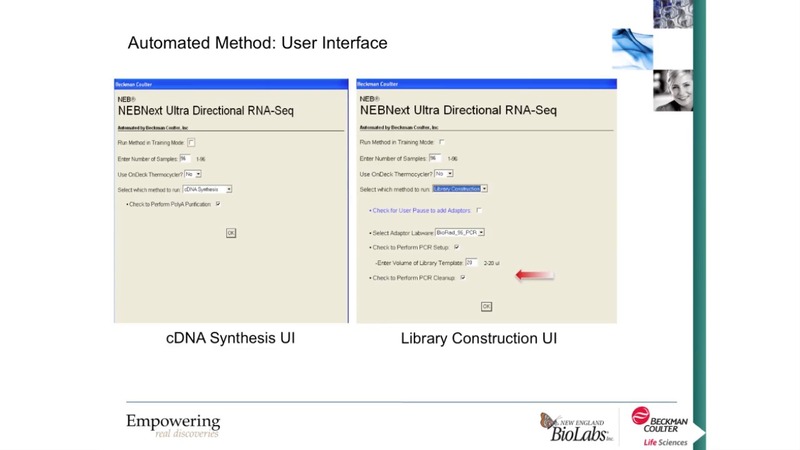 Part 2 in three-part series covering automated NGS workflows. 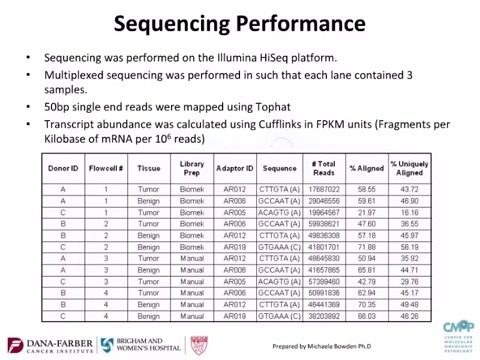 This session addresses automated DNA & RNA sequencing methods including whole genome sequencing and Illumina products (TrueSeq DNA PCR-Free, Nano DNA); targeted DNA sequencing including Agilent HaloPlex; the transcriptome and automated total RNA and mRNA sequencing and library construction/QC, including a results overview. 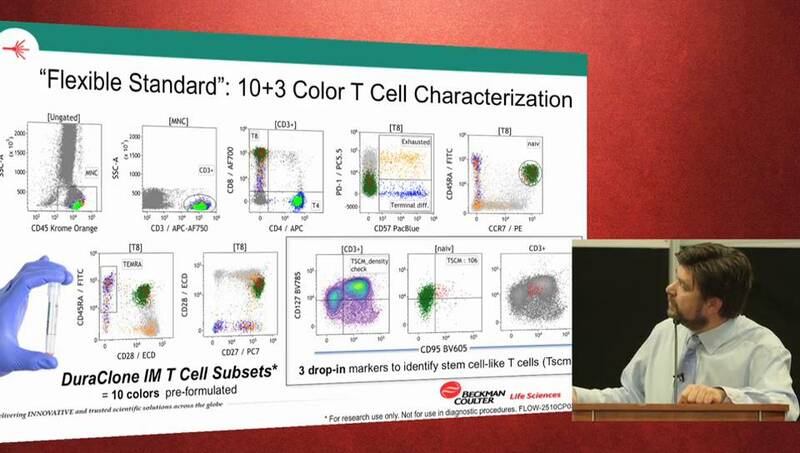 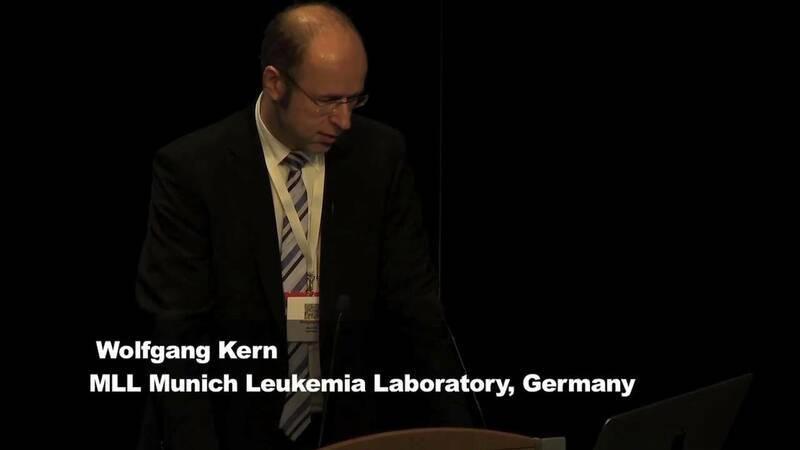 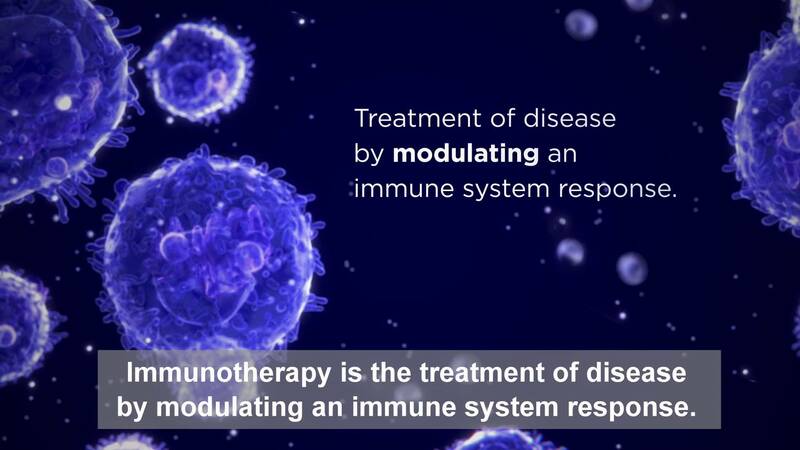 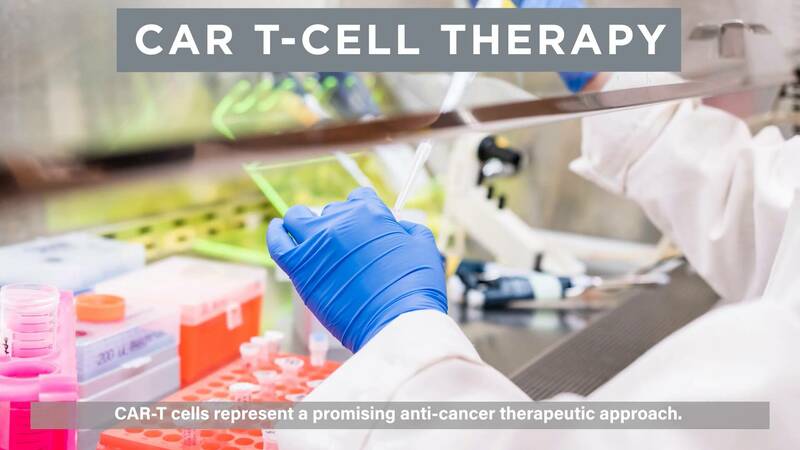 Duration: 28 minutes 49 seconds Learn about the use of DURAClone dry reagents for immune therapy research and the utility of this antibody panel formulation in immunophenotyping and functional workflows. 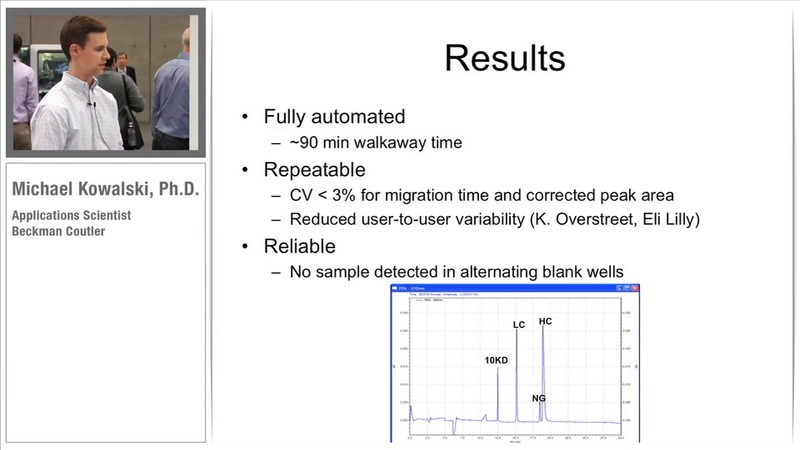 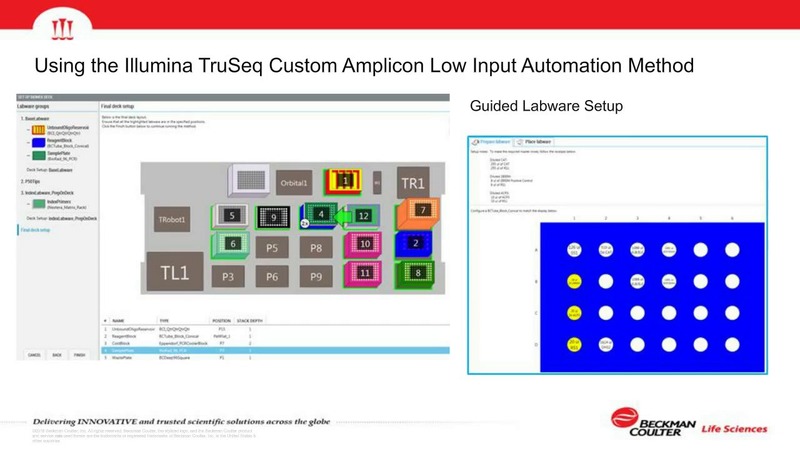 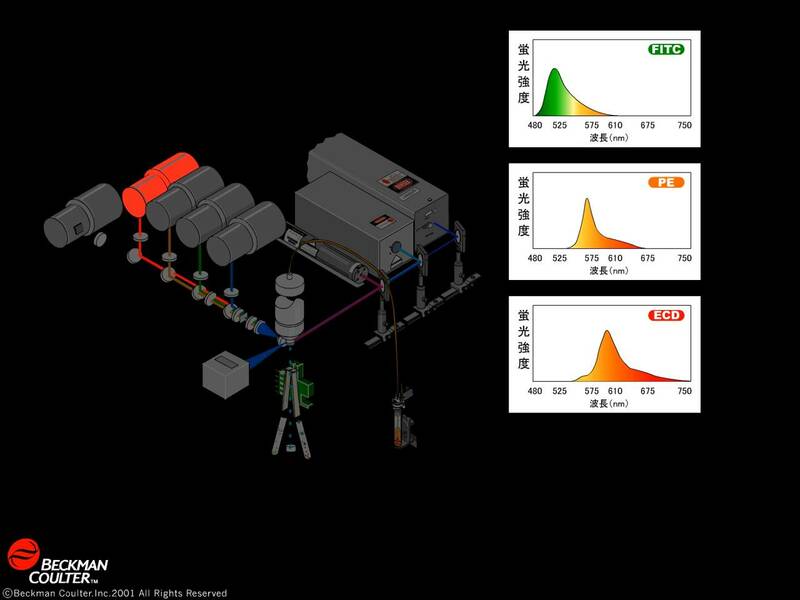 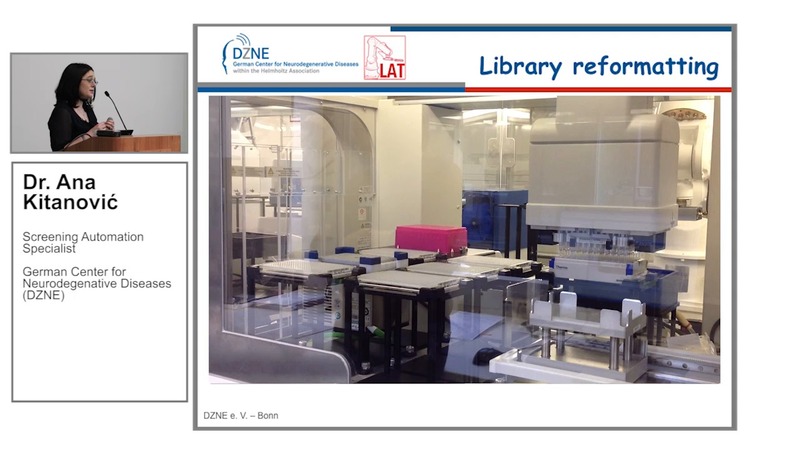 Duration: 9 minutes 46 seconds This SLAS presentation covers automation strategies for analytical labs including analytic methods, answers to "why automate", and a summary of results using automation. 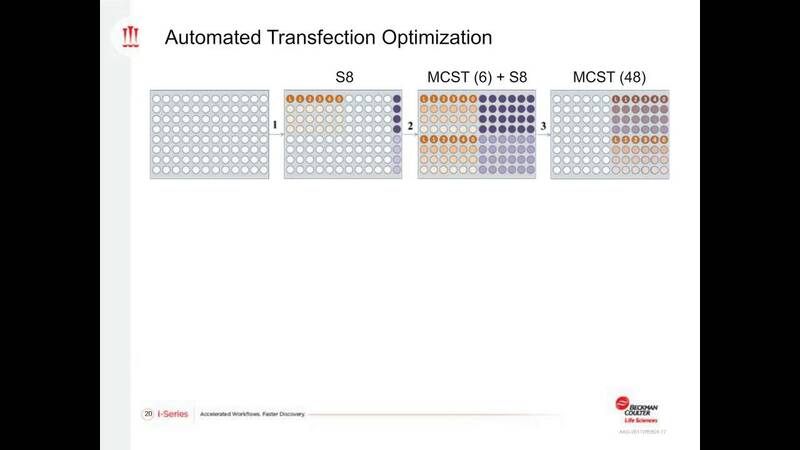 Duration: 45 minutes 44 seconds This educational webinar includes an overview of the transcriptome, Illumina's RNASeq Stranded Library Kits and automation considerations and insights for generating sequence-ready libraries and quality results. 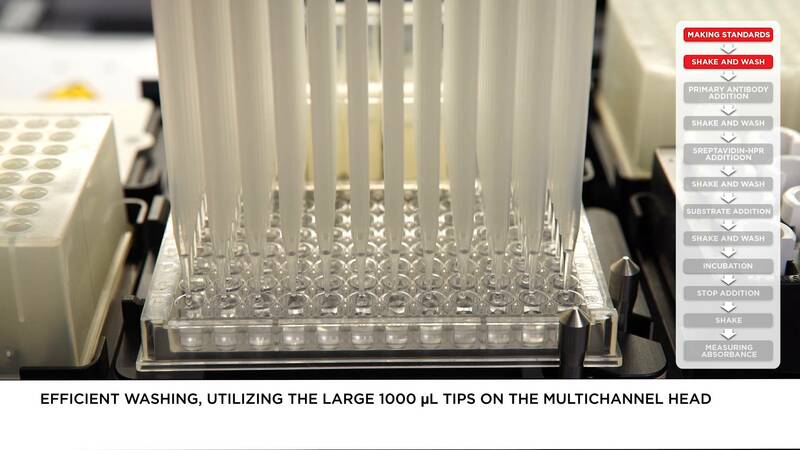 Be sure to do these important steps when preparing samples for accurate and repeatable particle counting results. 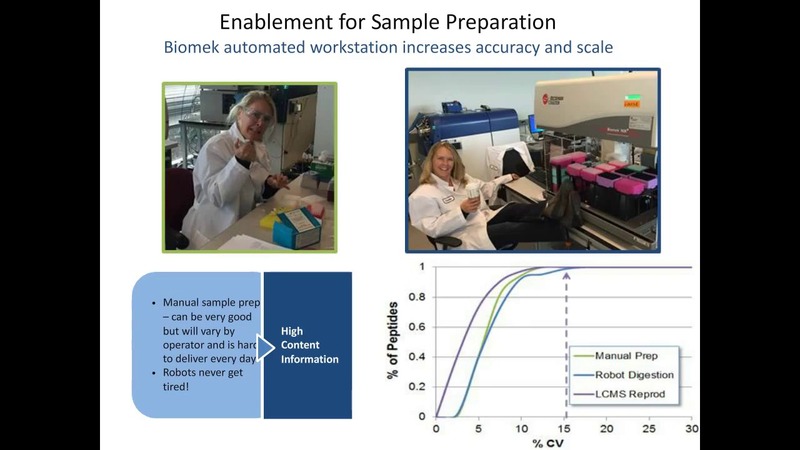 First in a three-part series on automation for smaller labs and those less familiar with automation who are interested in automation to standardize workflows and improve results. 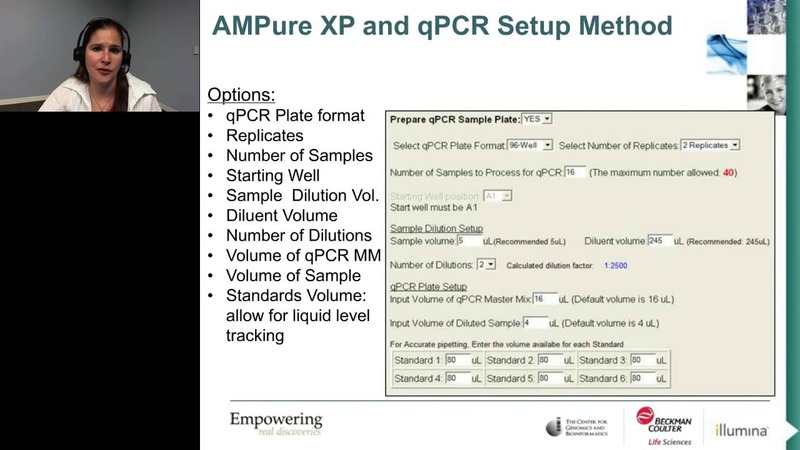 This webinar provides an introduction to automating NGS workflows including library preparation methods overview and automation considerations. 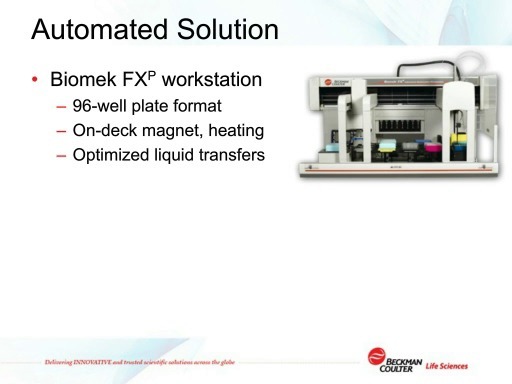 Duration: 2 minutes 30 seconds Introduction to flow cytometry - technology overview, applications, components of flow cytometers, parameters involved in analyzing cells. 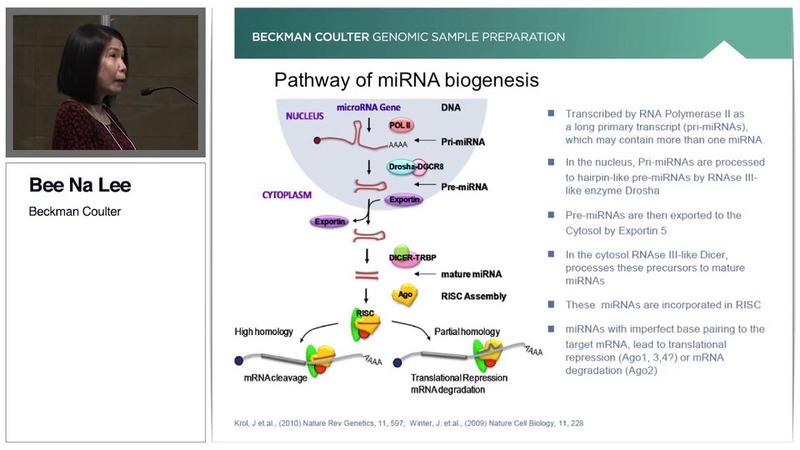 Duration: 12 minutes 53 seconds Solutions for genomic sample prep including microRNA overview, role in disease development, SPRI bead chemistry and method development overview, and enrichment results. 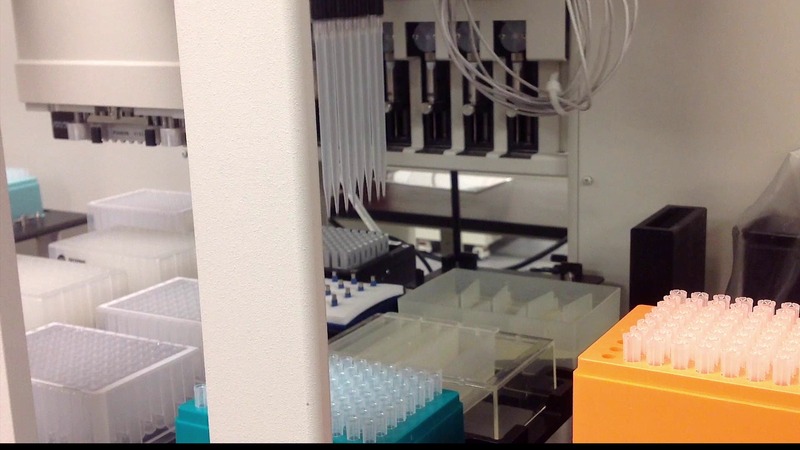 Duration: 1 minutes 33 seconds Streamline your workflow with Phospho Epitopes Exposure Kit (PefFix-EXPOSE). 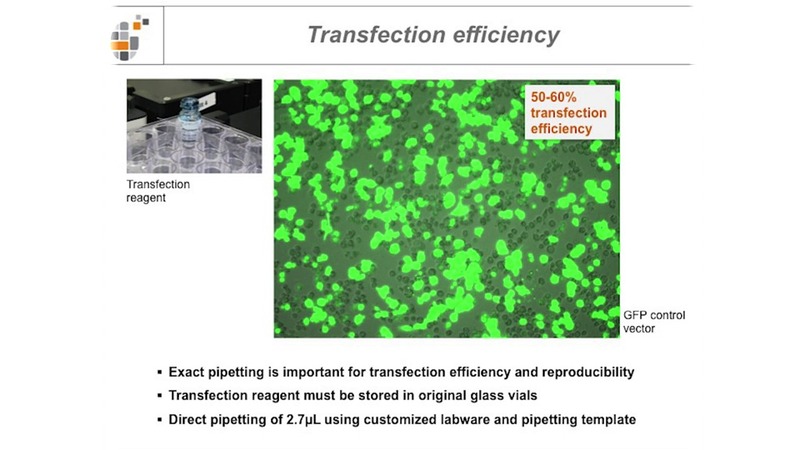 Minimal sample manipulation as well as a sensitive and highly-reproducible results. 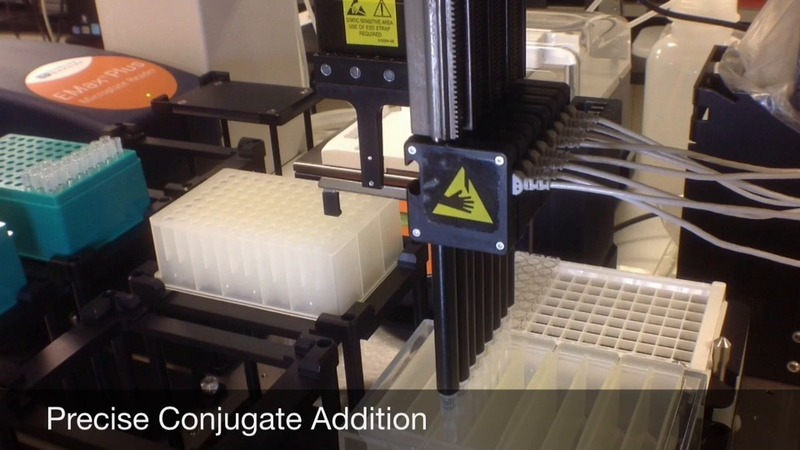 One standard procedure and includes all needed reagents to permeabilize and fix samples. 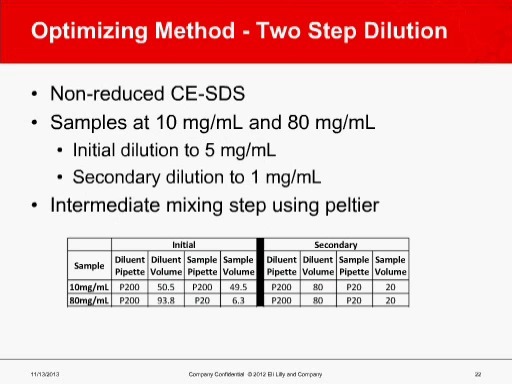 Works with whole blood/FFPE samples. 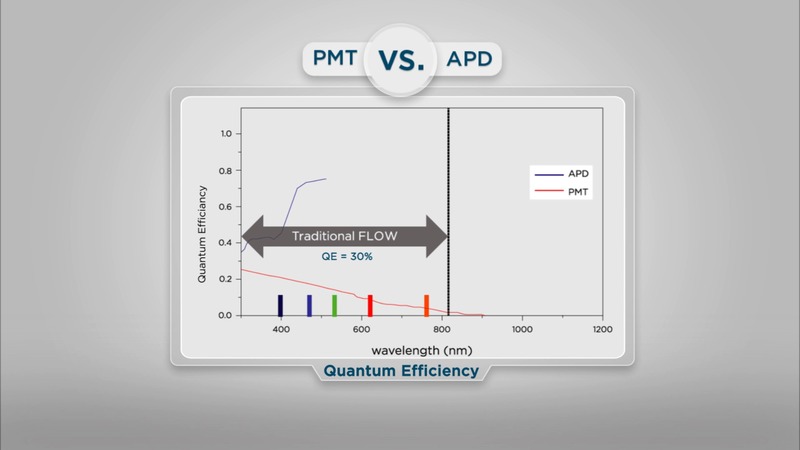 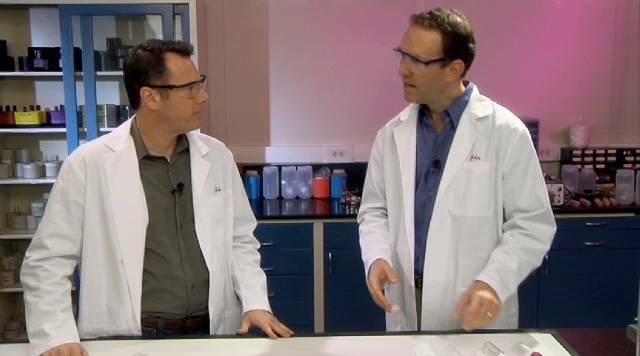 Duration: 4 minutes 20 seconds Learn how DelsaMax PRO technology speeds zeta potential measurements in proteins for the most accurate data. 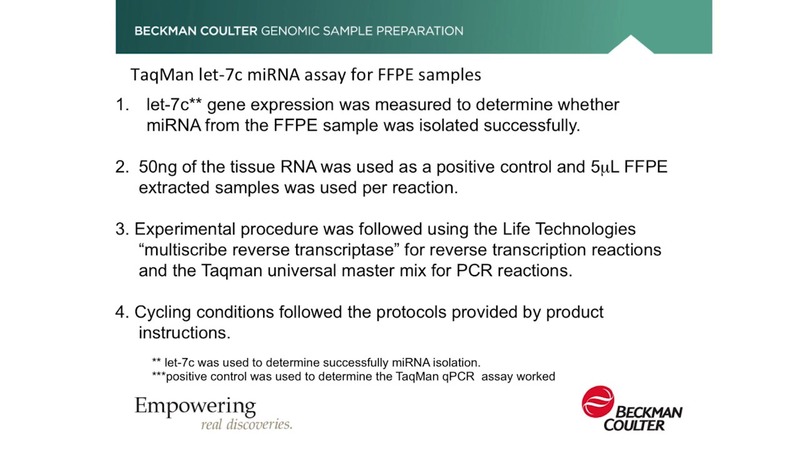 Duration: 37 minutes 5 seconds Learn how the Agencourt FormaPure kit supports successful RNA and miRNA extractions from FFPE tissue.Use FormaPure to isolate microRNA, RNA, DNA and total nucleic acid and suppor downstream applications including qPCR/q-RT-PCR, microarray and next-gen sequencing. 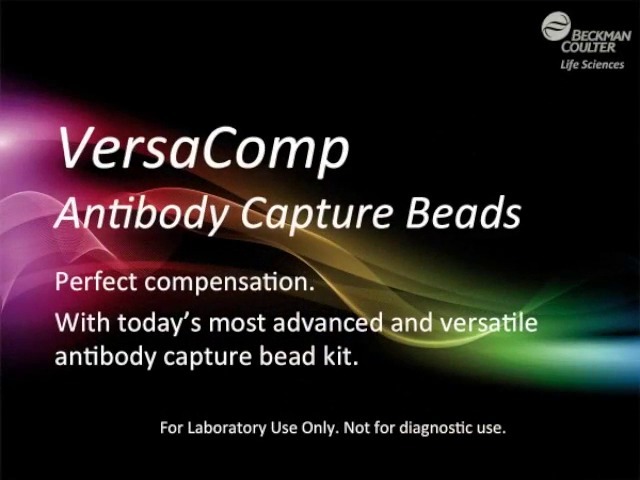 Duration: 4 minutes 36 seconds Introducing VersaComp Antibody Capture Beads for superior cell staining over typical staining beads: any host, any bandpass/laser, any specificity/conjugate and zero cell consumption for compensation!